After 1 year, AN patients had weight gains and improved mood. 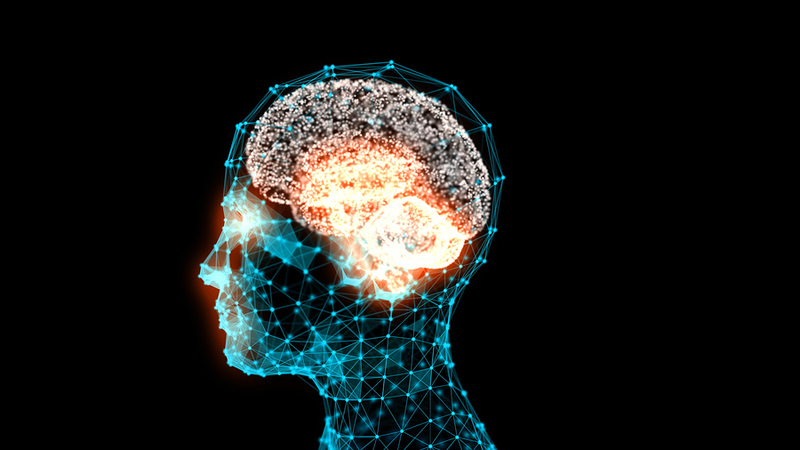 Deep brain stimulation, or DBS, has been helpful for a number of neurological disorders, including Parkinson’s disease, and has been studied for the treatment of refractory psychiatric disorders, including major depression and obsessive-compulsive disease (OCD). Similar to a cardiac pacemaker, DBS uses implanted electrodes to send low-level electrical currents to specific structures deep within the brain. Implantation of the electrodes into the brain requires precise surgery and careful brain mapping for each individual. Nir Lipsman, MD, and a team at the University of Toronto recently reported that DBS of the subcallosal cingulate, deep in the brain’s white matter, can significantly improve anxiety and depression, along with affective regulation, and can help increase body weight for patients with extreme treatment-resistant AN. This is the largest study thus far of DBS used for patients with long-term treatment-resistant AN (Lancet Psychiatry 2017; Feb 23, published online before print). All the 16 women in the pilot study were markedly underweight at the beginning of the study and had AN for a mean of 18 years. Most (88%) of the women also had comorbid mood and anxiety disorders. The Canadian researchers reported that DBS can affect the brain circuitry that might maintain anorexia, making the disorder so resistant to treatment. In their pilot trial of 16 women with severe, highly treatment-refractive and chronic AN (mean age: 34 years), one year after the surgery, DBS of the subcallosal cingulate was found to be safe. The procedure also improved mood and, over time, BMI as well. The implants provided continuous stimulation of the subcallosal cingulate for 12 months. Even though most of the women tolerated the procedure and implants well, nearly half had adverse effects. Two women asked that the devices be removed or deactivated. The most common adverse effect was pain related to the surgical implantation itself or to positioning of the electrodes. Seven, or 44%, of the subjects had serious adverse effects, including electrolyte disturbances, but most appear to have been related to AN itself (all patients had severe and unrelenting symptoms). One woman had an unexplained seizure several months after her electrodes were implanted. Importantly, the overall tolerability of the procedure seemed similar to what has been previously observed in depression and OCD, despite the precarious physical state of people with severe AN. Eleven of the 14 women who completed the study had an increase of at least 1 BMI unit after 12 months of DBS, and the average BMI after 12 months was 17.34 kg/m2, vs 13.83 kg/m2 at the beginning of the study. DBS also improved depression and anxiety and emotional dysfunction scores. The mean Hamilton Depression Rating Scale score was 8.79 at the end of the 12 months, vs 19.4 at baseline. The mean Beck Anxiety Inventory score was 38.0, compared to 27.14 at baseline, and mean dysfunction in emotional regulation score was 131.8 vs 104.4 at baseline. At the end of the 12 months, positron emission tomographic images showed significant changes in cerebral glucose metabolism in key brain structures, suggesting that DBS can directly affect AN-related brain circuitry. The authors noted that a longer-term study will help determine how long the positive effects of DBS last in AN patients with such severe disease.